a Attractive Bedroom Design Ideas by Residenza designs. Here the designer has showcased three views of a bedroom focussing on the laying of the cot, a small study area and the dressing room attached with it. For interior designing your house do contact Designer - BIBIN BALAN T fromTHALORE, THRISSUR . 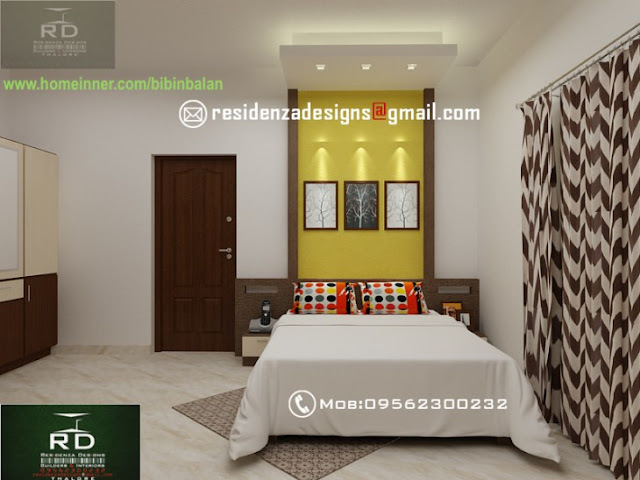 If you like this House design idea theme - "Attractive Bedroom Design Ideas by Residenza designs" , do take few seconds to share with your friends and relatives . Let them know what you like.